Cycling around the perimeter of Lake Como is a classic ride that will give any cyclist a great sense of accomplishment. The ride is 160km long and takes you through all of Lake Como's lake side cities and villages. 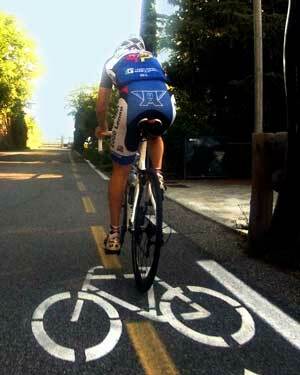 Although it is relatively flat, you will still do approximately 1200 meters of climbing by the end of the ride. There are some undulating sections between Bellagio and Como that include a few very small climbs that make up the bulk of the ride's ascent. The ride can be done in either direction. If you go clockwise you will be riding on the side of the road closer to lake. This may provide a better view of the lake when the road runs along side the shore. 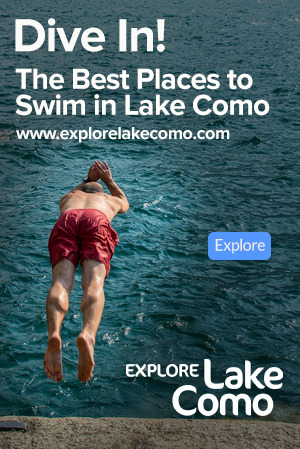 You may also want to consider the climbs between Bellagio and Como; where you start and the direction you are going in may dictate whether or not you need to face those early in the ride when you are fresh, or later on when you may not be. The quality of the roads around the lake is currently very good. The pavement is mostly well maintained, except for in and around the Como area. The roads are typically narrow. There is usually more traffic on the east side of the lake all the way from Como to the top of the lake. The section between Colonno and about Tremezzo can be very narrow. The west side of the lake has less traffic because of the highway cut into the mountain which bypasses the villages. The stretch of road between Lecco and Bellagio and between Bellagio and Como has the least traffic. Because of traffic, this ride should probably be avoided on weekends in the summer. Elevation profile for the ride around Lake Como starting from Griante and going clockwise - i.e. setting out going north. Notice the hills which are between Como and Bellagio. View this ride in Garmin Connect for more details. Virtually all of the tunnels along the lake can be avoided by either taking the old roads that were used before the tunnels were built, or by taking specially created paths that run outside the tunnels and along the lake shore. These paths are mostly in the area between Mennaggio and Gravedona. The paths or old streets that avoid the tunnels typically start immediately to the right of the tunnel entrance. A series of small tunnels around the towns of Bellano and Varenna cannot be avoided. Also, one long tunnel which runs just outside Lecco on the road to Bellagio cannot be avoided. It is good practice to have a red flashing light on the back of your bike and a white one on the front when going through long tunnels. 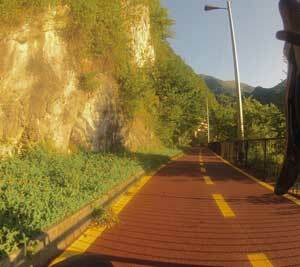 This tunnel just north of Lecco on the road to Bellagio can't be avoided. For the more accomplished or ambitious cyclist, the ride around Lake Como can be combined with a mountain climb to create a ride of even more epic proportions. For example, if traveling clockwise, when you get to Bellagio you can ascend the Passo del Ghisallo, descend to Sormano, then go over the Pian del Tivano and end up in Nesso from where you can continue on to Como. Or, again travelling clockwise, you can go into Valbrona before reaching Bellagio then either descend down to Bellagio via the Passo del Ghisallo or bypass Bellagio altogether and ride through Sormano and the Pian del Tivano and again down to Nesso. If traveling counterclockwise you can simply to these in reverse. Check a local map, these detours will be obvious. View this ride in Garmin Connect for more details. 160km ride around Lake Como. 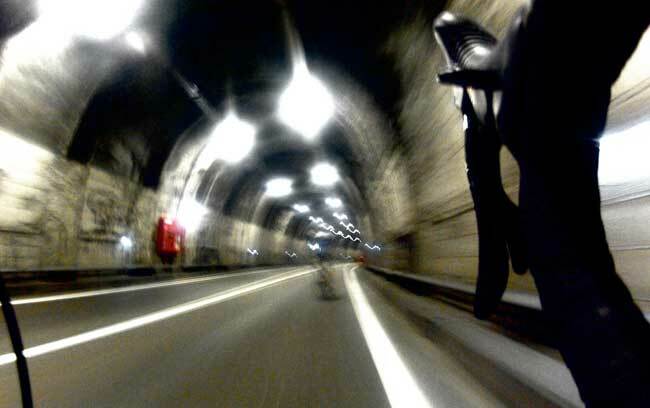 One of the dedicated bike lanes that by-pass the series of tunnels north of Mennaggio.